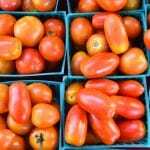 The Franklin Farmers Market will host its 8th annual Tomato Festival on Saturday, July 14 beginning at 8am. 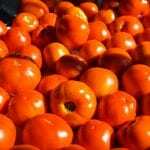 Farmers will vie for the best tasting tomato in the popular taste test judged by you, the customer! Children will have many free activities for fun and entertainment. 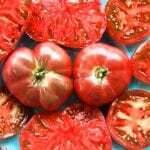 Customers will be in for a real treat with free tomato tasting from our local farmers. 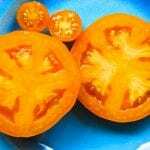 No one will want to miss the tomato-tasting contest with 14 participating farms in the categories of Heirloom or Standard tomatoes. 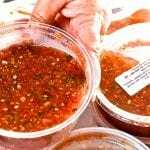 This year our contest will be a blind taste test judged by the customers attending the market between the hours of 8:00am-11:00am. Winners of the contest will be announced at 11:30am. 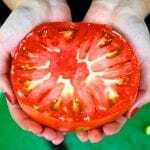 Taste all the different varieties of Tennessee grown Tomatoes and vote the Best Tasting Tomato of 2018! Which Farm will win this year? 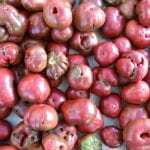 “The farmers market summer season is in full swing now that the “queen” of the farm has made her way to the market. 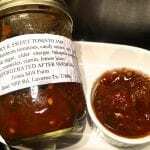 Everyone waits for the perfect homegrown tomato and that wait is finally over! We are honored to have the largest selection of farmers in middle TN in one location, and proud to be a producers only market. 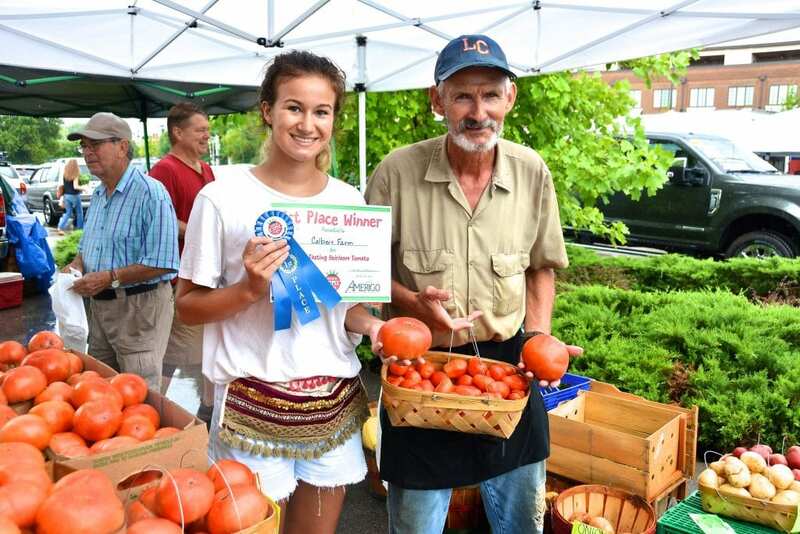 You won’t find a better tasting homegrown tomato than right here in Franklin, grown by the farmers who are here,” says Franklin Farmers Market Director, Amy Tavalin. 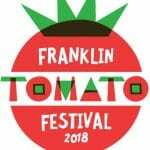 It’s a family affair at the Franklin Tomato Festival with free children’s activities that include a bouncy house, tomato storytelling by Magda the Story Spider, free face painting, a balloon artist and kids games. 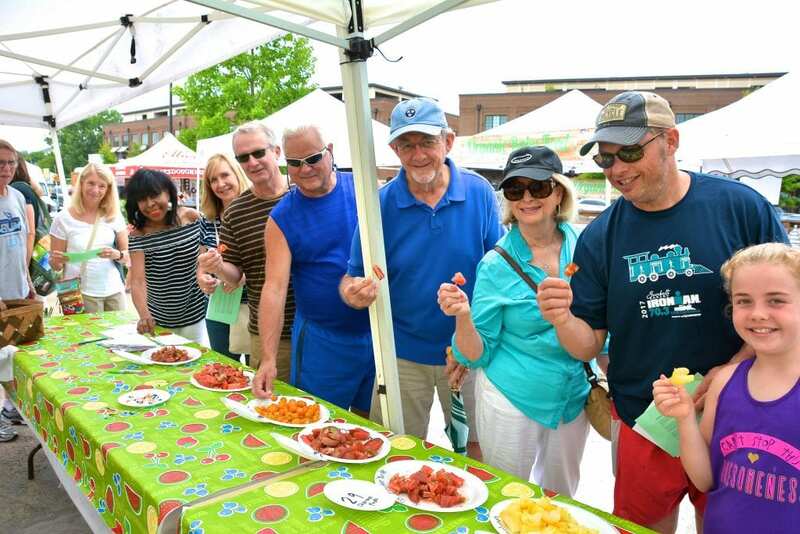 Everyone will enjoy free tomato tastings of locally grown tomatoes from our farmers picked less than 48 hours before the event. 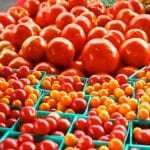 You can’t find a better, homegrown event than the Franklin Tomato Festival! Festival attendees can enjoy all that our market has to offer- fresh, locally grown produce, locally made artisan goods and local food trucks for breakfast and lunch. Admission to the festival and the market is free. 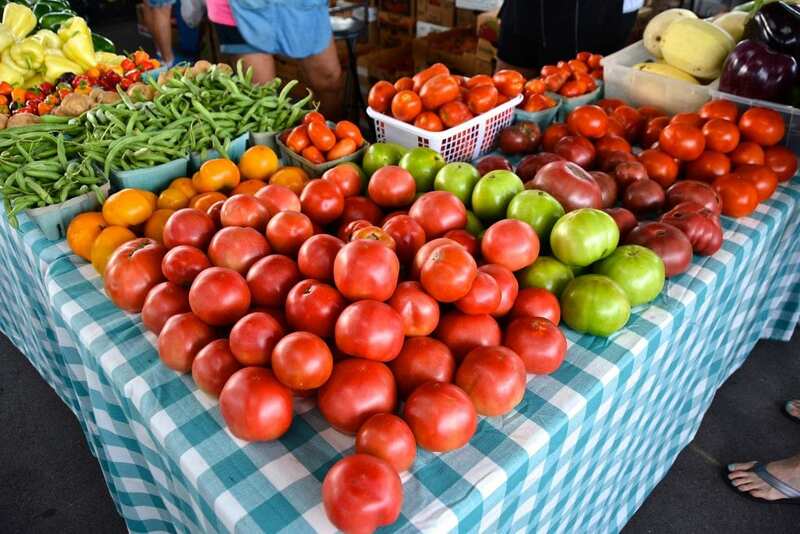 The Franklin Farmers Market is held every Saturday from 8am-1pm behind the Factory in Franklin, TN. The market is a 16-year-old producers only market with the largest assembly of local farmers providing fresh farm food all year long each Saturday morning. 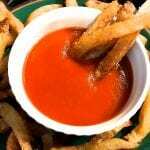 Find us at 230 Franklin Road behind the Factory. 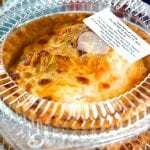 Visit us online at www.franklinfarmersmarket.com or follow us on Facebook, Twitter and Instagram for the latest market news. This entry was posted in Market Saturday News on July 12, 2018 .